Fiona Russell has been promoted to Professor in the 2018 Promotions round. Professor Russell is both a general paediatrician and an international opinion leader in the translational research of vaccine preventable infectious diseases that cause premature childhood death and disease in low and middle income countries. Her world acclaimed research on pneumococcal infection, the leading global cause of respiratory death in children has contributed to global, regional, and country level decision making on the implementation of new vaccines and the pneumococcal research priorities globally. She is a member of the World Health Organization (WHO) pneumococcal conjugate vaccine (PCV) expert advisory group. She leads a team of researchers that run international collaborative research projects Clinical/Epidemiology Pneumococcal team at Murdoch Children’s Research Institute and the Department of Paediatrics. 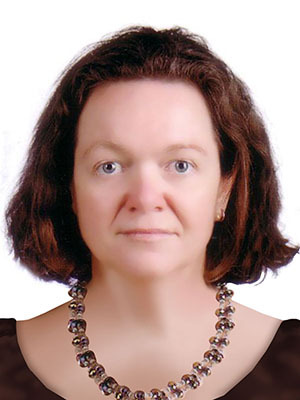 Her group runs globally recognised field studies in Asia-Pacific region and Ethiopia, partnering with governments, WHO, UNICEF and leading international researchers, answering questions identified by international experts to be of global relevance. Fiona is also Director of the PhD Excellence Program, Department of Paediatrics, and Deputy Chair of the Melbourne Children’s Campus Research Training program with oversight of over 200 students. She has been awarded over $29 million in research funding and multiple research and mentorship awards. Her promotion to Professor is worthy recognition of her marked global and local esteem.